ADDISON, Texas--(BUSINESS WIRE)--Daseke, Inc. (NASDAQ: DSKE) (NASDAQ: DSKEW), the leading consolidator and largest flatbed and specialized transportation company in North America, today announced that three additional carriers have joined Daseke, strengthening its position as a transformative force in the industrial goods trucking industry. The three top-tier flatbed and specialized carriers added to Daseke’s family of companies are Tennessee Steel Haulers & Co. (TSH & Co.), The Roadmaster Group and Moore Freight Service. TSH & Co., The Roadmaster Group and Moore Freight Service are highly strategic additions to the Daseke family of companies for multiple reasons. As a result of the closings, Daseke is now on track in 2017 to have $143 million in pro forma EBITDAi ii and $1.2 billion pro forma in revenueiii. This represents a compound annual growth rate of 48 percent in pro forma Adjusted EBITDA and 59 percent in pro forma adjusted revenue since the company’s first year of operations, 2009, when EBITDA was $6 million and revenue was $30 million. With the addition of The Roadmaster Group, an elite high-security cargo carrier, Daseke’s position is further bolstered in an important niche market with limited carriers. 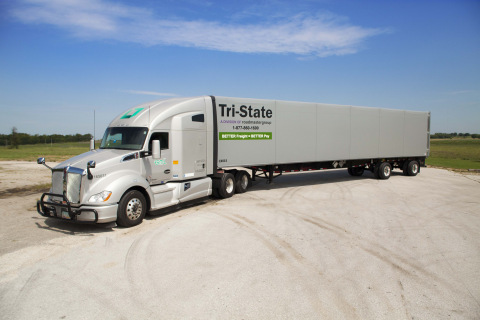 The Roadmaster Group is the parent company for Tri-State, the longest-tenured high-security cargo hauler in the country, founded in the 1930’s. 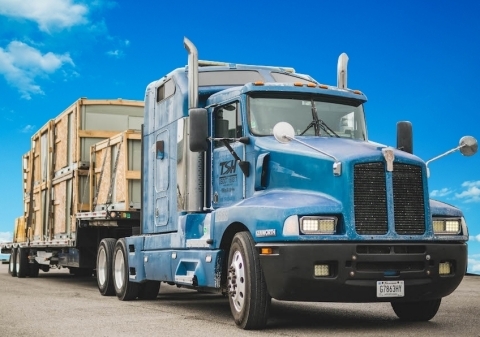 Moore Freight Service expands capabilities as a major player in a unique, specialized niche, hauling sheets of commercial glass, as large as 17 by 10 feet and more than one inch thick, with highly customized trailers. Tennessee Steel Haulers & Co. The Roadmaster Group, based in Phoenix, AZ, was originally formed in 2011. In 2016, it purchased Tri-State, one of the largest high-security cargo carriers in the industry. Led by John Wilbur, CEO of Roadmaster, the company brought in new ideas, such as a salary-type pay structure for drivers, instead of the industry norm of pay-by-the-mile. Based in Mascot, TN (near Knoxville), Moore Freight Service delivers commercial sheet glass throughout the Midwest, East Coast and Canada to companies that cut the glass to size in finished products. Since it was formed in 2001 by CEO, Dan Moore, Moore Freight Service has been dedicated to becoming a market leader in this unique niche. It began with one contract and three trucks, and has since grown to a team of highly experienced industry veterans utilizing over 300 specialized trailers. “Daseke’s unique philosophy – ‘investing in people’ – was the concept that made myself and my family realize Daseke was the right fit for Moore Freight Service. With the support of Daseke, we are gearing up to become an even stronger force in our niche,” said Moore. This news release includes “forward-looking statements” within the meaning of the “safe harbor” provisions of the United States Private Securities Litigation Reform Act of 1995. Forward-looking statements may be identified by words such as “estimate,” “plan,” “project,” “forecast,” “intend,” “expect,” “anticipate,” “believe,” “seek,” “target,” “will” or other similar expressions that predict or indicate future events or trends or that are not statements of historical matters. Such forward-looking statements may include statements relating to the benefits of the merger of Tennessee Steel Haulers & Co., The Roadmaster Group and Moore Freight Service (the “Transactions”), our future performance of following the Transactions and expansion plans and opportunities. These forward-looking statements are based on current information and expectations, forecasts and assumptions, and involve a number of judgments, risks and uncertainties. Accordingly, forward-looking statements should not be relied upon as representing our views as of any subsequent date, and we do not undertake any obligation to update forward-looking statements to reflect events or circumstances after the date they were made, whether as a result of new information, future events or otherwise, except as may be required under applicable securities laws. You should not place undue reliance on these forward-looking statements. As a result of a number of known and unknown risks and uncertainties, actual results or performance may be materially different from those expressed or implied by these forward-looking statements. Some factors that could cause actual results to differ include, but are not limited to: (1) the ability to recognize the anticipated benefits of the Transactions, which may be affected by, among other things, competition and our ability to grow and manage growth profitably; (2) changes in applicable laws or regulations; and (3) the possibility that we may be adversely affected by economic, business or competitive factors. For additional information regarding known material factors that could cause our actual results to differ from those expressed in forward-looking statements, please see our filings with the Securities and Exchange Commission (the “SEC”), available at www.sec.gov, including Hennessy Capital Acquisition Corp. II’s definitive Proxy statement dated February 6, 2017, particularly the section “Risk Factors— Risk Factors Relating to Daseke’s Business and Industry,” and Daseke’s Current Report on Form 8-K/A, filed with the SEC on March 16, 2017 and amended on May 4, 2017.
i Net loss of $9.5 million plus: depreciation and amortization of $107.7 million, interest of $35.1 million, benefit for income taxes of $1.5 million, acquisition-related transaction expenses of $2.9 million, impairment of $0.8 million, non-cash stock and equity compensation expense of $1.2 million, Company Transaction Expenses of $5.2, and costs incurred in connection with Parent being a public company of $1.6 million results in Pro Forma Adjusted EBITDA of $143.5 million. Adjusted EBITDA as defined in the Merger Agreement dated as of December 22, 2016, with Hennessy Capital Acquisition Corp. II, filed in Daseke, Inc.’s Current Report on Form 8-K/A. ii Based on the acquired companies internal financial statements for periods prior to acquisition and Daseke, Inc. consolidated financial statements for the four quarters ended September 30, 2017.
iii Based on the acquired companies internal financial statements for periods prior to acquisition and Daseke, Inc. consolidated financial statements for the four quarters ended September 30, 2017. Daseke Adds Three Companies; Annual Revenue Run Rate Grows to $1.2 Billion. Growing from $30 million in nine years.